Artificial intelligence (AI) technology has been around for decades, but its capabilities—as well as interest and funding in this area—have skyrocketed in recent years. Machine-learning functionalities (such as self-driving cars and facial recognition) are disrupting nearly every industry as well as people’s everyday lives. With funding for AI startups increasing to $5 billion in 2016 and the exponential acceleration of AI technology showing no signs of stopping, further disruption is almost guaranteed. This rapid progression is driven by advanced machine learning, systems that continuously consume and apply knowledge to improve accuracy and analysis. AI has already proven its potential for expediency and efficiency, completely redefining how we live, work, and relate to each other. The prospect of AI actually improving human-to-human interaction, especially within the business environment, is particularly intriguing. Human innovation paired with technological development is a powerful force. In human capital management, for example, technology has evolved from simply performing basic HR processes to predicting future outcomes and then to fundamentally restructuring how employers manage their people. Smart technologies powered by machine learning, natural language processing (NLP), and distributed data-collection interfaces are poised to completely transform the workplace for HR leaders. Running a business requires a substantial amount of data—so much, in fact, that companies now often deal with “big data,” defined as “an accumulation of data that is too large and complex for processing by traditional database management tools.” New technologies can digest these data mines with superhuman capacity and speed by applying advanced mathematical algorithms to find patterns, trends, and outliers, yielding insights that can transform how managers approach everything from turnover to overtime and enable leaders to better understand their teams and how to strengthen them. This shift laid the groundwork for the game-changing power of prediction. Today’s leading human capital management (HCM) solutions leverage big data to forecast everything from performance success to flight risk, and these self-taught systems are incredibly accurate, extremely adaptive, and constantly learning. Rather than simply reporting on past trends, they predict future ones, thus empowering leaders to drive continuous improvement within their organizations. Consider retention, for example. Because turnover can contribute to increased business errors, negatively affect culture, and cost the organization up to twice an employee’s annual salary, it is a top priority for today’s leaders. By automatically processing and analyzing a wealth of HCM data, predictive AI tools can identify the employees most at risk of leaving and alert their managers to address the situation before it’s too late. The next frontier for disruption is prescriptive analytics. Building on past innovations, prescriptive systems pull from predictive functions to suggest specific, personalized actions at key decision points. These AI-based recommendations can make managers better leaders by applying unbiased data to difficult decisions. By drawing on what’s worked well in similar situations, the prescriptive functions can inform not only whom to talk to and why to talk to them but also how to talk to them. (The managers of the above-mentioned high-risk employees, for example, might be encouraged to take them out to lunch as thanks for their continued contributions and initiate a conversation about their career goals and aspirations.) The additional support helps leaders coach and engage their people, which leads to improved business outcomes. At the same time, though, the process also relies on the innate human traits of intuition, empathy, and kindness. The result is a symbiotic, people-first AI. One of the best ways for leaders to improve retention is to listen to and address employee concerns. This observation seems basic, but it’s actually quite difficult to scale listening to the voice of the employee. Organizations have traditionally relied on annual performance reviews to accomplish this goal, but once-a-year discussions don’t always suffice (especially when tied to salary negotiations). Employee satisfaction surveys are another alternative, but poorly designed (or poorly executed) surveys won’t deliver impactful results. The most effective surveys offer a mix of qualitative and quantitative prompts, but these take significant work to analyze. Fortunately, recent AI developments are resolving this dilemma and improving employee-manager relations in the process. Despite the remarkable advancements AI has made in learning and prediction, users are often frustrated by its failure to understand the true meaning of words. Google Translate can instantly convert text from one language to another, and even basic Web-based chatbots can provide reasonable responses to basic queries. But until recently these systems produced only literal translations and interpretations. Human language is incredibly complicated and brims with context and subtleties that make it challenging for machines to decipher. Enter natural language processing (NLP). This rapidly improving technology is producing solutions that are learning to think and speak like humans. The result is the difference between a native Parisian and a French 101 student: the AI is actually speaking human language, not translating it. Machines can now discern emotion and are capable of recognizing sadness, anger, and even sarcasm. The many potential opportunities to leverage NLP in the work- place include advanced customer service bots and e-mail summarization software, among others. But employee surveys are one obvious place to start. By applying NLP and machine learning algorithms to open-ended, text-based surveys, leaders receive feedback on what their employees are saying as well as on how they’re actually feeling. Managers can monitor their teams’ health and use these metrics to arrange one-on-one conversations, evaluate opportunities to increase satisfaction, and drive organizational change. Truly understanding how people are doing their jobs, what they care about, and what inspires them can enable organizations to improve nearly every aspect of the employee experience. 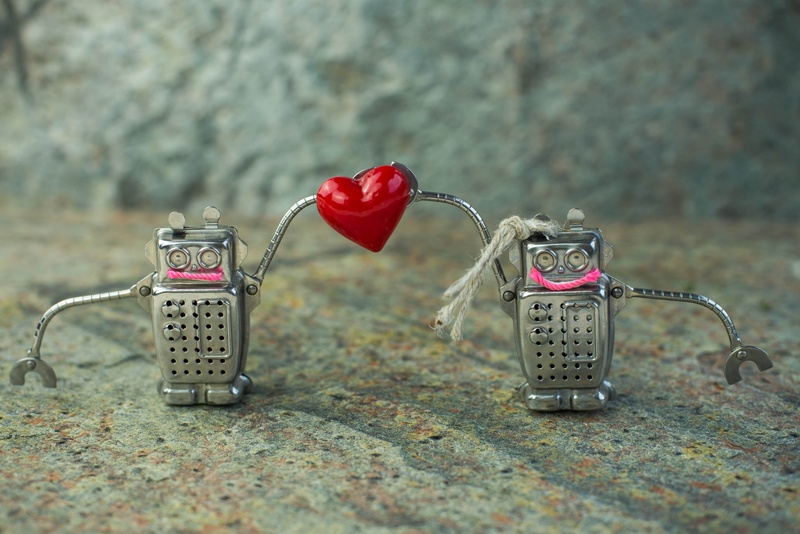 Developments in automation, analytics, and NLP are making these insights possible and fostering authentic connection and understanding between managers and their employees. In this way, AI has accomplished perhaps the last thing anyone expected: it’s making HR more human. About the Author: Adam Rogers is the chief technology officer at Ultimate Software, where he oversees the company’s product strategy, development, and delivery via the Cloud. Ultimate’s award-winning UltiPro® delivers HR, payroll, talent, and time- and labor-management solutions that connect people with the information they need to work more effectively. Note: This article is an extract from Advanced Resources' HR Insights Magazine.